Wedding venue selection is, was and never will be an easy task. And if it’s a banquet hall in Noida that you’re skimming through, then may God’s choicest blessing be with you. Known as the ‘Gold Mine of Uttar Pradesh’, Noida is also a gold mine for the wedding industry. With numerous spectacular wedding venues spread across the city, narrowing down just one is as difficult as picking a dessert from a platter when you’re on a diet. To help you make an informed decision, we share a list of the best banquet halls in Noida with their pricing, capacity, freebie details and more. Take your pick. One glance through the venue and it is sure to leave you tongue tied. Exceptionally gorgeous this banquet hall in Noida offers a beautiful space to organize your wedding. With over 10 years of banqueting experience, the venue has a keen knowledge of what clicks with modern couples. At Tivoli Habitat you’re guaranteed to receive world-class banqueting service, outdoor catering service, authentic cuisines, high-tech facilities and competitive pricing. Their banquet halls are renowned in Noida for being grand, spacious, comfortable and equipped with modern facilities to offer complete event support. Tivoli Habitat Centre is a full-service venue, even though allow you to make your own catering, decoration and entertainment services. Freebie: One complimentary changing room is provided to the bride and groom. A well-renowned IHG brand of hotel, Crown Plaza offers the best in class banquet halls in Noida to host grand style weddings. With their largest venue capable of accommodating more than 1500 guests makes it an ultimate destination for couples looking forward to host a typical larger than life Indian wedding. Being a full-service hotel, Crowne Plaza offers all wedding related services under one roof saving you from the effort of running around to manage your food, decor and entertainment facilities. Another major highlight of this venue is that the venue allows you to play music until the wee hours of the night making it a perfect destination for the never ending celebration you intend you have. Luxury, comfort and extravagance define C Inn Hotel. They let out their small banquet hall in Noida for pre-wedding celebrations, while their expansive lawn area is booked for grand style Indian weddings. Along with being a full service wedding hotel, C Inn Hotel also helps you manage your wedding day. Their banqueting staff leaves no stone unturned to ensure your imagination turns into a reality and ultimately you have an unforgettable experience. You can avail the services of their in-house catering team or book your own caterer. Outside alcohol is also permitted at the venue with corkage charges applicable. A medium sized celebration too finds a brilliant banquet hall in Noida. Offering a classic amalgamation of comfort and great value, there is no way you should look beyond Fortune Inn Grazia for your intimate dream wedding. The venue offers three banquet halls in varying capacity enabling you to host your pre-wedding, as well as wedding ceremony and reception all at the same place. The venue offers complete wedding services including decoration, catering and music. It also allows you to play music until late night ensuring your Sangeet celebration becomes a night to remember. For couples who wish to have a small gathering pre-wedding celebration yet not compromise on luxury and comfort, Park Plaza banquet hall in Noida is your best preference. The highlight of this venue is that it offers free wi-fi. This will keep your social media savvy guests busy sharing and uploading all the highpoints of your celebration. Their in-house catering team will take care of your varied taste palettes with its wide spread of best cuisines. Park Plaza allows you to book your own decorator and DJ. 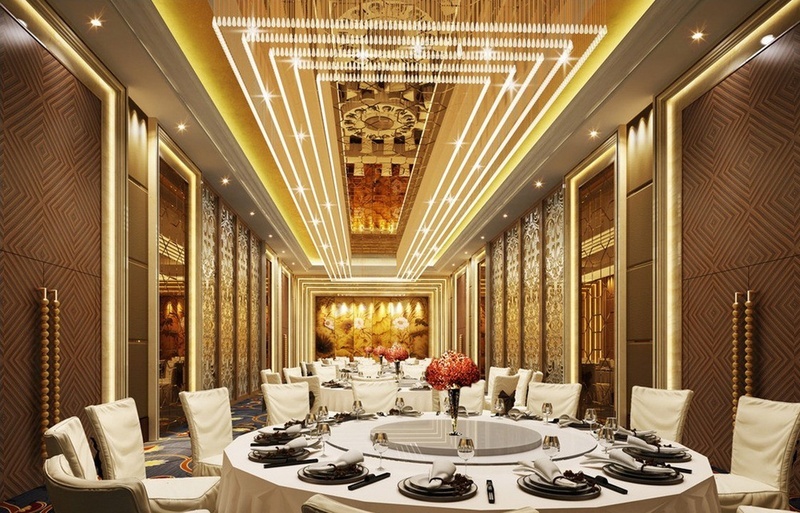 Saving the best for the last – Awadh Greens is of the most breathtaking banquet halls in Noida. All the more spectacular is their wedding lawn perfect for the big fat Indian wedding. Their in-house team does a marvellous job in setting up the venue with contemporary decor. The venue also offers catering in-house and can set up entertainment facilities too. Outside alcohol is permitted at the venue with corkage charges applicable. Check out many more such brilliant and budget-friendly banquet halls in Noida here.